I've noticed several people having problems with making links, inserting images, and embedding videos. I figured I'd write a real quick guide to help those of you who may still be staring at the screen with a blank expression (as I, myself, once was) when trying to get these things to work. So, Here it goes! 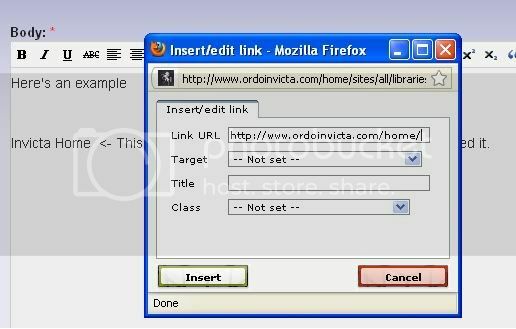 To make a direct link, you need to first select your desired text for the link show up as. Once you've highlighted the desired text, click the chain icon that appears in the toolbox. After Highlighting and clicking the chain icon, you should recieve a pop-up box. In the box, under "Link URL" put your desired web-address into the box and hit "Insert"
You can use this to just make your post look neat, or like suggested above. To give people a warning of the content before they click the link provided. If you want just a direct link, nothing complicated, all you must do is copy the whole link into the post box. No fancy coding or anything like that needed. To insert pictures into a thread is very easy. First you need to hit the button that looks like a little Tree. Now you should have a smaller window pop up. In the new window, enter the direct link to your desired picture into the "Image URL" and hit "Insert"
To embed movies or youtube videos into the forums, go to the toolbar and select the button that looks like a image reel. Once it opens up the new box, just put the video link into the url slot. NOTE: You do -not- need to use the embedded link, only the direct link. Another way to embed youtube videos, which is a slightly more complicated way, is through HTML code. Though don't be afraid, it looks much tougher then it actually is. Just follow the steps, and you'll do fine. 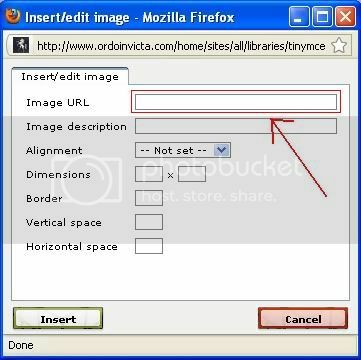 Clicking on the button will bring up a code in another box, you'll need to highlight that text (Should automatically be highlighted) and than right click and copy. 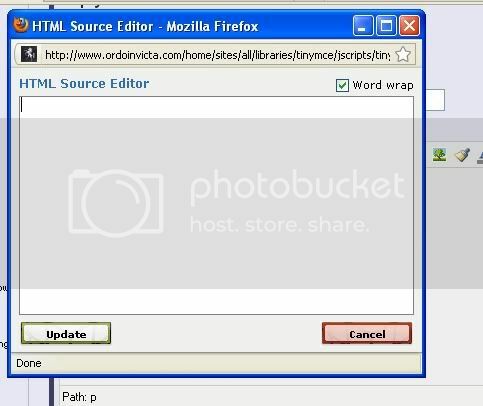 Now that you have the embeded HTML code, go back to the forums and select the HTLM source button. You're almost finished! Now that you've hit the HTML button, it should bring up a pop-up box. Simply right click and "Paste" the embeded HTML code from Youtube into the box and hit Update! After that you, you should be all set! (NOTE: Your Video will not show up correctly in your text box, it will likely provide a yellow box. However; the video will show up after you make the post, or by hitting the preview button! I hope this has helped answer all of your questions. If you have anymore, post them here and I'll be happy to help! Ok still having trouble embedding youtube, but... not really caring. I prefer to just switch to the pure HTML and do my formatting that way. Its a bit less frustrating to me. Funny thing you say that, Nefy... I almost posted a guide how to do it in HTML for videos too, but figured I'd skip that one... I'll edit it here soon and include that. PS: A sticky perhaps, Mister Admin? If only I had admin rights, I could sticky it myself, and help fix peoples posts, too! This total noob needs to know: how do I put the screenshots I took that are on my computer and get them into the comments field? did I miss the help section on this? 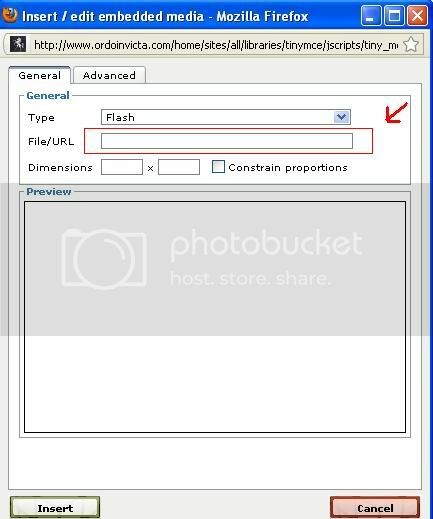 You will need a photobucket/flicker ect account to post the shots in the comment field.However I do believe you can post them directly to the gallery section of our forums from your pc.I'll test it and let you know. Sorry to intrude on this thread once again, but could you please spell it out for me, step-wise fashion, because I am a techno-hmtl-seriously-handicapped-bobbleheaded-noob! Plus, if I put in a gallery, could I not just link to the gallery instead of posting pics twice? That is, once I know how to make and link into a gallery? No worries Hithrim.To post a screenie in the gallery go to your "create content" section(should appear under your name at the top left of the main page after you are logged in),choose screenshot,then the appropriate gallery,then browse to find the image on your pc.If you are doing this for the sceenshot contest just provide a link to that gallery page in the contest thread otherwise I might miss it.